React state management is always a hot topic. This week you can check out what is the "State of React State Management in 2019" by Jonathan Saring. Vue.js developers will surely enjoy reading about how to "Turn your Vue Web App into a PWA!" 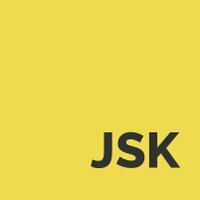 by Rajat S.
Finally, we recommend "Seeding your Database with Thousands of Users using Knex.js and Faker.js" by Mario Hoyos. A very useful tutorial that will help you get up and running with your test database data in no time. This post is in response to this post by Ivan. I really enjoyed working on that problem, and I ended up arriving at a solution that wasn't discussed in that blog post. In this post, I will discuss how I arrived at my solution and how memoization can be used to make an algorithm much faster. This is an article about how the most well known villain in the JS universe isn't really evil, just misunderstood. I'm not going to dig too deep into the background of the term "callback hell"; instead I'll just point you to this nice article that explains the problem and some typical solutions. When I was little, I received a watch as a gift. Much to my mother's horror, the first thing I did was grab the smallest screwdriver I could find and take it apart piece by piece. I wanted to see the internals and inspect every part. In this article, we're going to dig into the concept of CSS-in-JS. If you're already acquainted with this concept, you might still enjoy a stroll through the philosophy of that approach, and you might be even more interested in the next article (coming soon!). Web development is very interdisciplinary. A hash table is a data structure which helps us to quickly find the data by using the keys. Hashtable uses the hash function to generate the indexes sometimes hash function generates the same index for the different data this is called collision. Definition: A dictionary in which keys are mapped to array positions by hash functions. Demystifying the Long Arrow "Operator"
I recently stumbled upon some code that I found to be really interesting. It essentially iterates over a loop but with a twist. It uses the mysterious long arrow "operator". What's interesting and unusual about this "operator" is the fact that it iterates over the pets array in reverse, as seen in the console output. This article describes the features and functionality of TypeScript 3.1. While TypeScript is very simple to understand when performing basic tasks, having a deeper understanding of how its type system works is critical to unlocking advanced language functionality. ES2018 introduced a new Promise.prototype.finally() method to the standard library. Here's how to use it in TypeScript. TL;DR: In this article, we take a practical look at getting started with Angular 7 and styling it using Bootstrap 4. This short tutorial is targeted towards beginners new to Angular. But, it will also be useful for veterans wishing to update to the latest Angular version. Let's dive in. Ben Nadel looks at the irrational demonization of two-way data-binding in Angular. And, demonstrates that two-way data-binding provides exciting benefits that developers can opt-into when they want it; and, opt-out-of when they need more explicit control over how data is synchronized. Observing state management in the wild... and the Store is open for business! 🐯 State management has always been a vital yet somewhat dreadful aspect for working with React. Recently I've had the please of talking to a few R&D teams, each of whom had an entirely different opinion about this topic. Last time, we learned about the lifecycle of React components -a collection of methods that are called during the life of a React component. In this article, we'll learn all about connecting React components to DOM elements i.e. regular HTML elements like input. You may ask why we'd need regular elements at all. With React Conf 2018 behind us, we have learned that with release 16.7 of React, an important new feature will be available: React Hooks. Join me as we go through working examples and get "hooked" on React. Thank you Benjamin Johnson for submitting this guest blog post to teach others about your skills and learnings as a developer. If you want to submit a guest blog post too, I am keen to get a message from you. There is only one requirement: You must have written a quality technical article for any publication before. How Does React Tell a Class from a Function? Editors note: Last month we published another article on " 5 Things I Didn't Know about Create React App" - check that one out too for more tips and tricks with React! Learn new tips and tricks for Create React App to make you more productive with tooling and help you build your apps faster. I'm a developer who has tried AngularJS, Angular, React, Vue, and Aurelia. So far, Aurelia is the most powerful, elegant, intuitive, and enjoyable framework to develop with. In this, I'll share with you a few reasons why I think you should do yourself a favor and try it out. Over the last couple of months our awesome community has been providing great feedback and use cases for the Aurelia CLI. We're so grateful for the way that we've been able to work together. As a result, we've had several CLI updates that not only fix bugs but also add new features. Turn your Vue Web App into a PWA! In this post, we will see how to take an existing Vue App that I had created in my previous post, and convert it into a PWA! Progressive Web Apps (PWA) are web apps that can run smoothly on mobile devices. But that is not all! In this tutorial, we'll explore generating data in one component, and passing it to another in Vue.js. TL;DR Here is an example of a working CodeSandbox https://codesandbox.io/s/l4yj6jxpqz Why would we need to do this? If you've worked on a large-scale Vue application, chances are, at some point you've wanted to generate data in one component and then do something with it in a separate component. Let's apply that principle: I'm building Post Frequency/Accountable Blogging, I'm familiar with Vue and Node-based backends. Netlify makes frontend deployments trivial and I've settled on Dokku for databases/backend applications hosting. See how I deploy my applications Deployment options: Netlify + Dokku on DigitalOcean vs now.sh, GitHub Pages, Heroku and AWS. Node.js error handling isn't a walk in the park. When putting our code into production, we want to know that it's battle-tested and hardened for all the complexities that production will throw at it. In order to handle our errors properly, we need to understand: Wowza-that's a lot. Node Streams Tutorial With Example is today's leading topic. Streams are collections of data just like the arrays or strings. The difference between arrays and streams is that streams might not be available all at once, and they don't have to fit in the memory. Introduction What is a Node framework? Benefits of Node frameworks Selecting a Node Framework 1. AdonisJs [GitHub Stars: 5,053] Why AdonisJS? 2. Express.js [GitHub Stars: 41,036] 3. Meteor.js [GitHub Stars: 40,490] 4. Nest.js [GitHub Stars: 10,128] 5. Sails.js [GitHub Stars: 19,887] 6. Koa.js [GitHub Stars: 23,902] 7. LoopBack.js [GitHub Stars: 11,985] 8. There are many ways to go about interacting with a database, but that's a discussion for another day. For this example, we will be using Knex.js, which calls itself "a batteries-included SQL query builder for Postgres, MSSQL, MySQL, MariaDB, SQLite3, Oracle, and Amazon Redshift designed to be flexible, portable, and fun to use ". Communication with our server from a client-based app is very essential in web development, it helps makes our client app highly dynamic. A user interacts with the page by clicking a button which sends a request to the server, the server would retrieve the data and send it back to the user without reloading the page. This blog post shows how to setup webpack 4 module bundler for development. This webpack tutorial contains many common examples you might need to configure when doing JS application development with the webpack. The demo is available at my GitHub repository. The demo includes a couple of example components. Everything you should know about testing React components using Jest & Enzyme. With examples. Testing React components may be challenging for beginners and experienced developers who have already worked with tests. It may be interesting to compare your own approaches with the ones we use in our project. TL;DR Check this awesome library: https://github.com/jakubjanczyk/enzyme-custom-wrappers Enzyme is a great library for writing tests that I'm using with pleasure. However, in my last project, when our number of tests exceeded 1000, we started to encounter issues with maintainability and keeping them clean. Today I'm going to briefly introduce a simple workflow for automating testing that uses Mocha and Chai. Mocha is a test framework that sets up test suites, and Chai is an expectation framework that adds helpers to make it easier to build tests against code. Want to show a uniquely tailored promotion? Want to change the language of your site or design based on where your users are coming from? You know the concept of lazy loading images. It prevents the browser from loading images until those images are in (or nearly in) the browser's viewport.